The girls track team win leagues!! On your mark, set, POW! Last week, the girls’ track 4×200 team broke the school record with a time of 1:47.8. They beat the previous record by two seconds on January 5th at the Armory in NYC. The team consists of Maureen Duffy, Julia Smith, Valerie Fink, and Oceane Ode. This is the first year that these girls are running together. 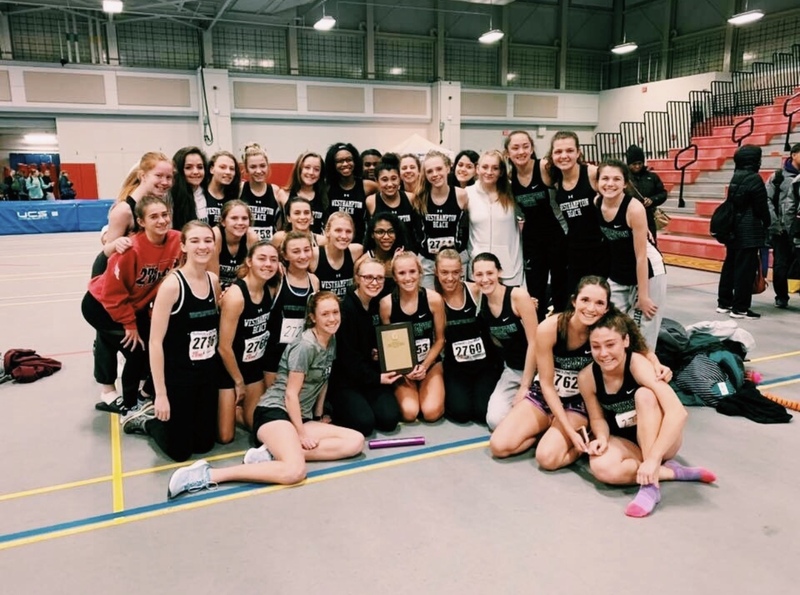 Last Sunday night, at the League IV Girls Indoor Track Championships at Suffolk County Community College in Brentwood, the Lady Hurricanes earned a League title, the first for th team since 2015. The girls won the 55, 300, 600, 1000, the race walk, the triple jump, the high jump, the 4×200, and the 4×400.They finished with 125 points, while the second place team, Kings Park, earned 57.5 points. Impressive!! The girls go to counties on February 2nd at Suffolk Community College. Go Canes!